Google Chrome Cleanup. Now powered by ESET. 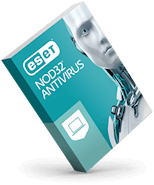 ESET provides Google with technology to protect Chrome users against unwanted software. Google Chrome Cleanup, now powered by ESET, is a security tool that alerts Google Chrome users to potential threats. The tool automatically notifies Google Chrome users when it finds potentially unwanted or malicious software. It can also remove the threat for you. ESET provides Google Chrome with the engine for the cleaner, which is available in the latest version of Google Chrome. As cyberattacks become more complex and difficult to spot, browsing the web can lead you to dangerous sites that can secretly install malicious software onto devices. Examples include sites that install adware, toolbars or surveillance software. Google Chrome Cleanup is not a replacement for an antivirus software, as the functionality of antivirus/antimalware has additional capabilities to protect against all types of threats beyond the unwanted software that this tool is designed to protect against. 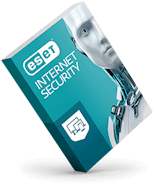 Chrome Cleanup uses ESET technology to identify and eradicate suspicious or unwanted software on your Windows computer. The tool operates in the background, with no slowdowns or interruptions to the user. When it finds a suspicious program, Chrome Cleanup will notify you and offer to remove it. If desired, just click the Remove command and Chrome Cleanup will delete the program for you. You will be notified once the unwanted program has been deleted. 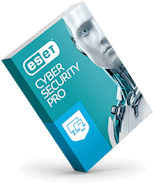 Learn why millions of users worldwide trust ESET to block ransomware, phishing attacks, hackers and other threats. ESET LiveGrid® evaluates malware-related data from users around the world to find the latest threats.